Tourist trap is a phrase for any establishment or set of establishments that have been created to attract travelers or tourists and provide products for the tourist to purchase. While the term may have negative connotations for some, such establishments may be viewed by travelers as fun and interesting diversions, with realistic expectations as to their true importance, or lack thereof. There is some ambiguity in the definition of the phrase as it relates to size, activities, cost of products, and legitimacy. Some operators prefer to call them "family-oriented tourist attractions". This article is licensed under the GNU Free Documentation License. It uses material from the Wikipedia and numerous other sources that provide freedom to copy and redistribute content, with or without modifying it, either commercially or noncommercially. Carry your visa for entry to India/Kerala on your holiday. For further clarifications, contact the Indian High Commission. For visa extension, contact Office of the Commissioner of Police, Thiruvananthapuram. Ph: 0471-2320579. The Mattancherry Palace, also known as the Dutch Palace, is a large construction in Mattancherry, Kochi, Kerala, India. 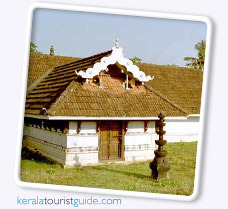 It features Kerala murals depicting Hindu temple art, portraits and exhibits of the Rajas of Kochi. It was built by the Portuguese and presented to the Raja of Kochi, Veera Kerala Varma, in 1555. It became known as the Dutch Palace in 1663, when the Dutch renovated the palace and built some extensions.